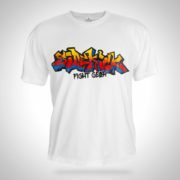 Take that fighting spirit with you everywhere with this Sidekick fight wear t-shirt. 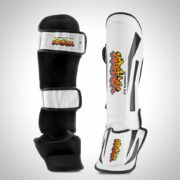 Made from 100% cotton, it is a very durable garment, perfect for training or just casual wear. 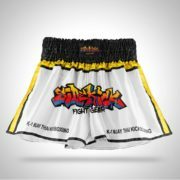 With its large chest logo it would make a big statement for your fighting walk out. 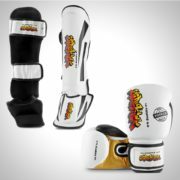 Sidekick has been established for nearly a decade as a popular demand of the kickboxer. The hard wearing and durable cotton material makes this symbolic t-shirt hard wearing and extremely comfortable whilst in the ring. Whether your looking for a walk out no one will forget, training in the gym or a casual day out, this Sidekick t-shirt is worth every penny! Available in a light grey and black colour. Sizes small, medium, large and Xlarge.